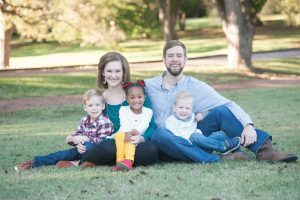 Josh & Kelsey planned to adopt a newborn, but God had a different idea in mind. Not only would they adopt a 19-month-old, but they would bring her home less than 24 hours after learning about her. The following is their testimony. Our adoption experience is best defined as a whirlwind. We were just going about our day on January 31, 2018 when we got the call at 12:00 p.m. A 19-month-old baby girl in Texas needed a family ASAP. We prayed, said YES, and were matched within ten minutes! I packed us and our two biological boys (only ages 3 and 1 at the time), and we left for the airport two hours after getting the call. We finally got to the agency at 11:45 p.m., met with Olivia and her birth mom for a bit, and signed paperwork at 1:05 a.m.
She was our daughter a mere 13 hours after finding out about her! Only God can write stories like that. 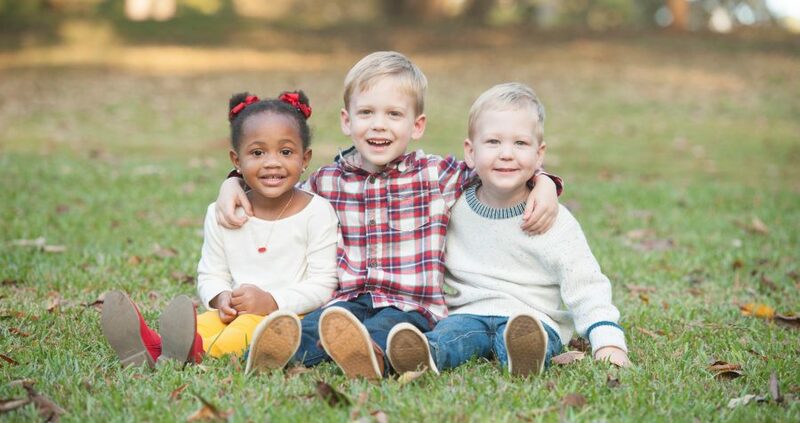 Our Lifesong matching grant helped us tremendously in our efforts to fund our adoption. The staff have always been so very kind and helpful, and we are forever grateful for the kindness of this wonderful organization. Thank you for being the hands and feet of Jesus! Josh and Kelsey, thank you for sharing your story! We’re reminded of Proverbs 16:9. “The heart of man plans his way, but the Lord establishes his steps.” We’re excited to see how God continues to lead your precious family in the days ahead. ARE ADOPTION FINANCES STANDING IN YOUR WAY? We’ve helped over 7,000 children just like Olivia come home through matching grants, interest-free loans, and fundraising tools.